"Let Me Give Your Smile Back"
This is the story of Giuseppe Cicero, a young and very talented Italian dentist with great passion and determination. We’ll tell you about the Oral3D, his revolutionary printer used for bone regeneration in the oral cavity, his decision to establish himself in New York, and so much more. Does he have the same glimmer in his eye and the same energy as the immigrants who arrived in America a century ago? This is the question that we asked ourselves when we met him. The answer is yes. 27 year-old Giuseppe Cicero is living his adventure in New York as did many generations of young people, like him, in love with the American Dream. 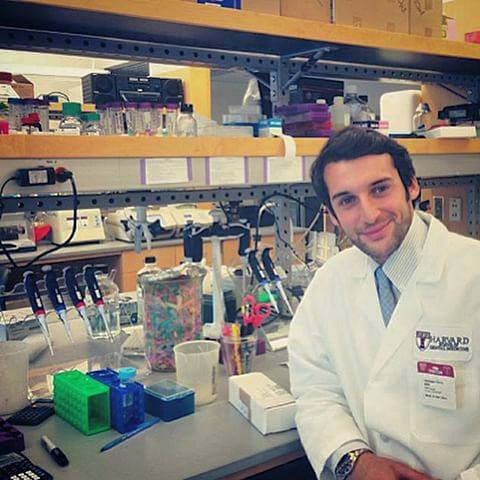 Despite several challenges, he is guided by a great passion for oral surgery, which was passed down to him by his Sicilian father, who is also a dentist, and who opened offices between Rome and Sicily. 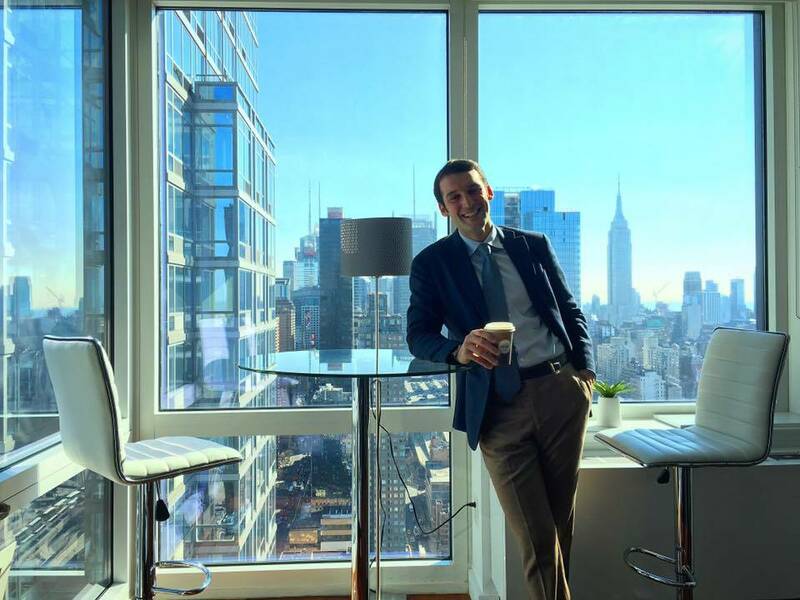 Immediately after graduating from the University of Tor Vergata in Rome, Giuseppe’s great ambition pushed him to continue his studies in New York. 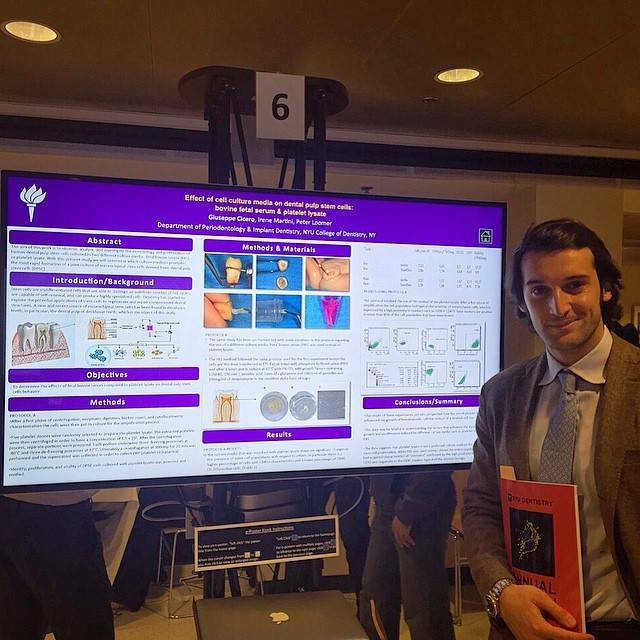 However, he was too young to enter into the program to which he aspired–NYU’s Advanced Education Program in Periodontics. But Giuseppe is someone who’s not afraid to put himself out there and take on even the most difficult of challenges. A bit of luck, finding himself in the right place at the right time, and having the right talent all worked in his favor. Given that he had the opportunity to work at his father’s dental practice, what brought him to New York? The answer is in the enthusiasm, adrenaline, and desire to discover that characterizes young people in search of new experiences. “I really like oral surgery, and New York is simply the best place to practice it. At New York University’s downtown hospital, we have a constant stream of patients. We’re faced with many cases, and we’re exposed to various types of conditions. The New York population is heterogeneous, vast, and diverse with some cases that have never been seen before. It’s a true laboratory. I enjoy clinical research, and there’s no city that can compare. There are still some obstacles to overcome, however. Giuseppe would like to practice his profession regularly after the University, perhaps working for a private studio, like the prestigious Rosenthal Apa Group from which he received a proposal. But because he’s a foreigner, there are many technical difficulties hindering. It’s yet another challenge that Giuseppe is facing with his head held high. However, he’s sure of himself and sure of what he wants. 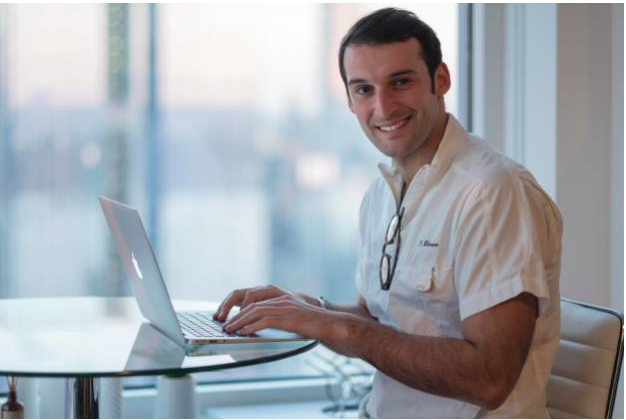 Giuseppe focused his passion for research on a brilliant and revolutionary idea. 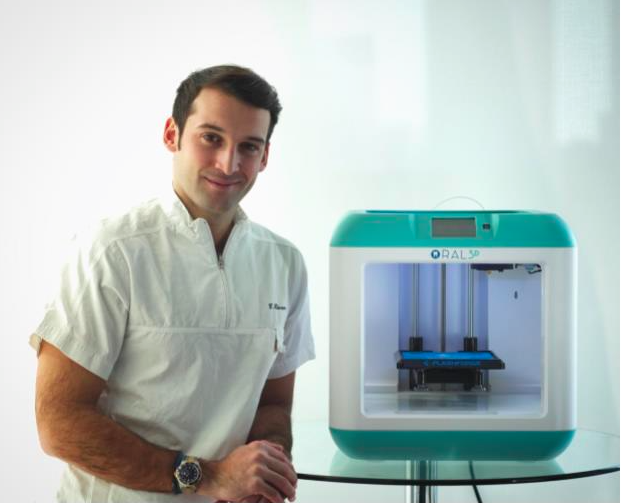 Last year, he founded a startup, Oral3D, the first user friendly 3D printer for bone regeneration in the oral cavity. “With this tool, communication with the patient is brought to a whole other level. It’s no longer based on a screen, but rather on 3D models. The patient is able to see and to understand, with more precision, what’s happening under the gums.” Says Cicero. The idea was born one day when he was operating at New York University. Technically, 3D printers already exist in the dental field. They are used to print the patient’s bone, and the bone defects are then analyzed before the patient’s operation. However, these printer is extremely complicated to use. Giuseppe’s new 3D printer allows users to directly drag from the TAC file (with the photo of the bone) into a software that renders the data and sends it to the printer. When patients are able to observe with a 3D model their intra-oral situation, they can feel more confidentand be able to appreciate more easily the impact of the treatment. His attention for the human aspect of his patients and the importance of communication are, for Cicero, the foundational elements of his profession. Unlike other medical professionals, the dentist is often perceived as a distant figure who doesn’t have social influence in the community of his patients. Giuseppe, instead, believes that one needs to work to “Restore people’s smiles.” It’s a mission and a philosophy that surpasses esthetic enhancement and touches much deeper psychological and emotional aspects. It’s for this reason that Cicero doesn’t neglect the world of social media. He’s close to his patients through the use of modern communication tools. Giuseppe also has many ideas about how to use his image on video, crossing the confines of his profession and blending it with his passion for cinema and television. He’s the protagonist of documentaries and short films on both his story and his family’s story. Giuseppe is pursuing the idea of a TV program centered around a medical figure, similar to Grey’s Anatomy, but with dentists as the protagonists. In fact, he wants to present his ideas to some of Netflix’s producers. Giuseppe has an unparalleled energy, that both strikes you and remains with you after a conversation with him.